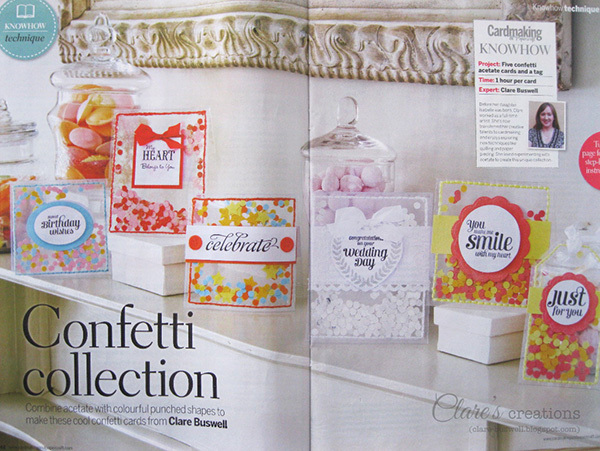 In the current issue (117) of Cardmaking and Papercraft Magazine (UK) I've some fun confetti cards! 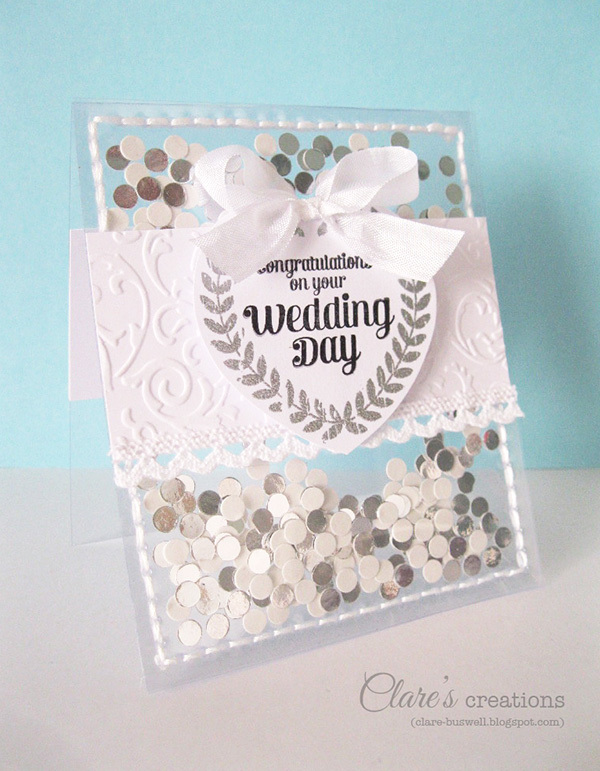 The card base is made from acetate (the rigid variety) and I hand-stitched an extra layer of acetate to the front of each card to make a pocket for the confetti! 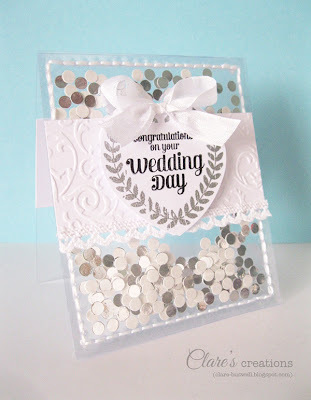 This wedding card is one of my favorites, I added some punched circles of silver mirror card inside the pocket and stitched around the edges using white embroidery thread/floss. To make the hand-stitching easier I pierced all the holes first with a piercing tool. 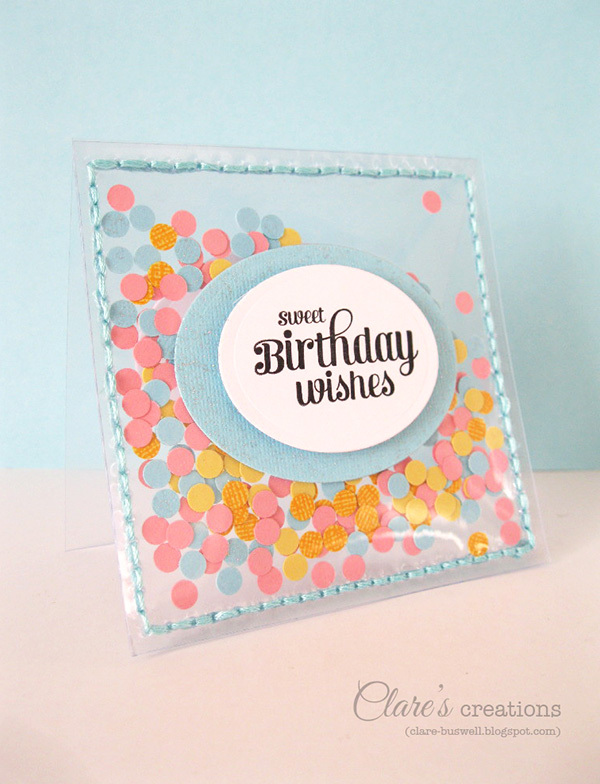 On the inside of each card I added a piece of cardstock the same size as the front piece, so there was somewhere to write on! I really love how these turned out. I did attempt machine sewing but the thicker acetate (which I wanted to use so the cards would stand up) wouldn't go through my sewing machine but I love how the hand-stitching looks with the embroidery thread! Here's the spread in the mag. 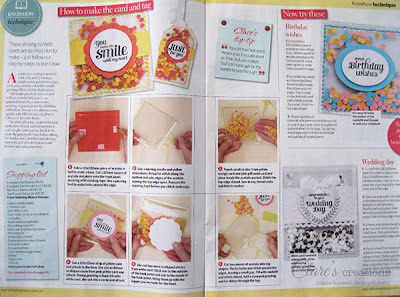 Inside the mag there's full step-by-step instructions on how to make a card and tag. 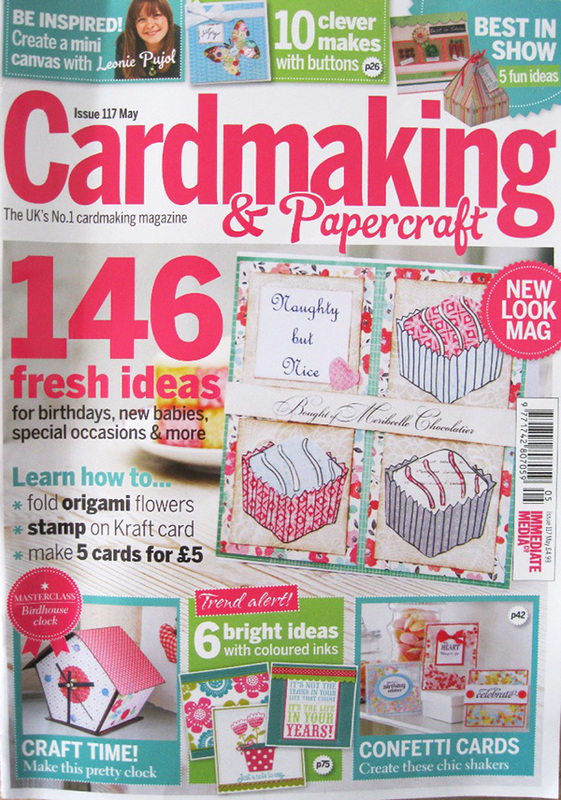 Pick up a copy for all the details. 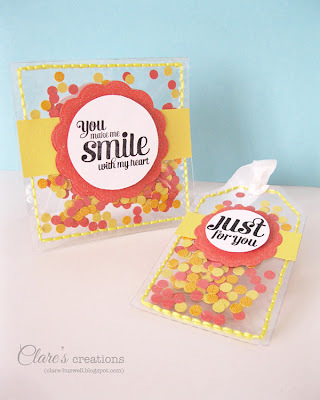 I used Waltzingmouse Stamps on all the cards - Compact Sentiments, Compact Sentiments Part Two, My Heart stamp set and Say it Loud. 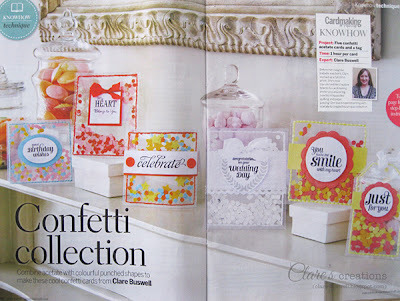 Oh my goodness, I LOVE LOVE LOVE these confetti cards!! They can fun and whimsical or elegantly gorgeous. What an incredibly wonderful idea!!!! Thanks for sharing it with us. I am a new subscriber to your blog. Looking forward to seeing more of your work. 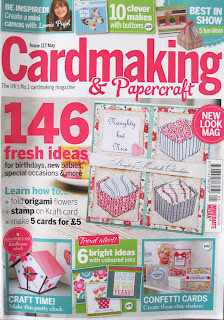 Clare congrat's on this magazine pub, that is a lovely spread the mag gave you. Will be visiting more often..
Great cards! Where do you get the acetate?